Rogue Promise Gone Aw-Rye is a Red Rye IPA, that is brewed with Rogue Farms Dream Rye, 7.5% ABV. 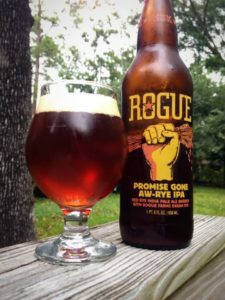 This beer was originally brewed strictly as a one-time holiday gift for Rogue employees. As the story goes it turned out too good to keep in house, and Brewemaster John Maier eventually broke his promise and brewed it again for you and me. Bottle provided for review. 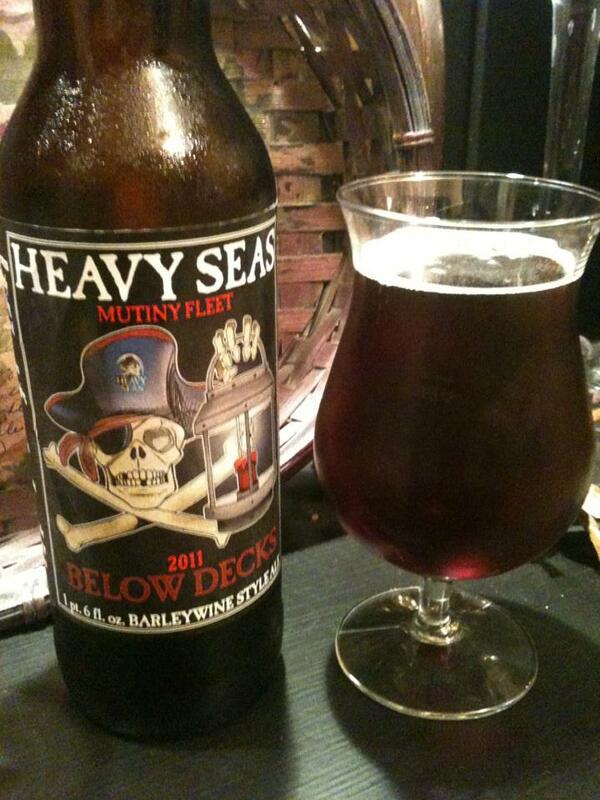 This is a lovely looking beer that pours with a rich copper red color and a beautiful dark tan head. 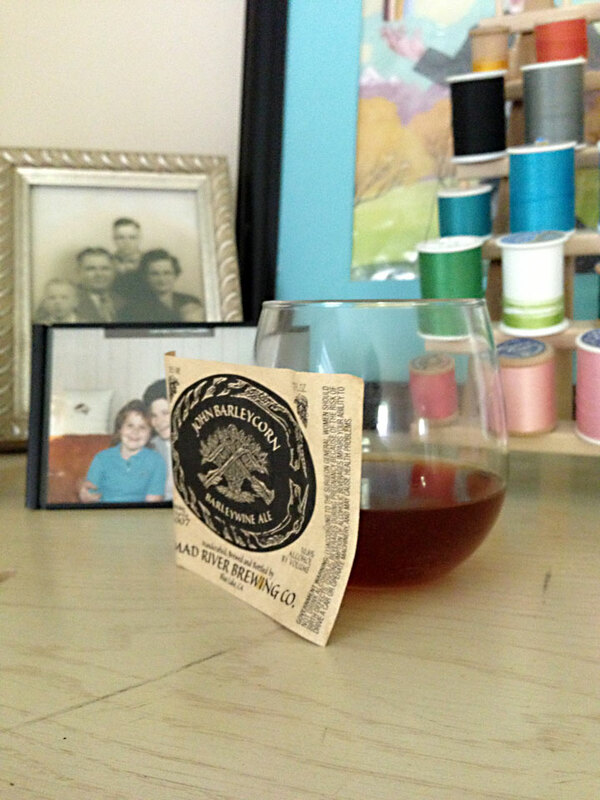 The aroma has some rich caramel malt, big earthy/spicy rye, and a good bit of fruity and floral hop notes. The taste is a nice combination of the three aroma elements. Starting off the taste is some big sweet malt that has a nod to some caramel. Right behind that is a huge helping of spicy rye. Bringing up the rear is some tropical fruity hop notes as well as some pine and general bitterness. I am a big fan of this kind of beer, and this one is really quite solid. It was a perfect compliment to one of our first cooler nights here in Savannah.